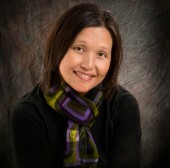 Chia Youyee Vang is a leading advocate for Hmong cultural preservation and education. Katharine Lyall was the first woman president of the University of Wisconsin System. Sister Joel Read served for 35 years as president of Alverno College and became widely known and respected for her innovative education reforms. Ruth Bleier was a neurophysiology professor whose pioneering work showed that there was gender bias in the field of biological science. Margaret Farrow was the first woman to serve as lieutenant governor in Wisconsin. Mildred Barber was one of the first three women elected to the Wisconsin Legislature. Community leader Helen Connor Laird was the inspiration for the Laird Endowment Fund for the Arts in central Wisconsin. Lynne Cheney, who served as Second Lady of the United States, has devoted much of her career to writing and speaking about the importance of American history education.